Congratulations to Dr. Morris Bullock on receiving Pacific Northwest National Laboratory's 2017 Exceptional Scientific Achievement Award. Presented by Laboratory Director Dr. Steven Ashby, the award recognizes Bullock's pioneering role in understanding and controlling hydrogen activation in bioinspired catalysts. Mother Nature uses Earth-abundant metals, such as iron and nickel, to produce hydrogen, and to oxidize hydrogen as a fuel. Industry performs the same reaction, using electrons and protons to produce electricity, less efficiently and with significant cost. Taking inspiration from enzymes, natural catalysts found in plants and algae, Bullock and his co-workers have unraveled the secrets of how electrons, protons, and hydrogen move in different catalysts to create or split hydrogen molecules. To get at these secrets, Bullock took a holistic view by conducting careful, elegant experiments, models and simulations, calculations, and theory. Morris's innovative research has changed the field of catalysis, particularly in the creation of well-defined, precisely understood catalysts that can turn hydrogen (fuel) or other chemicals into electricity and vice versa. His work has changed how the scientific community understands and controls certain catalysts with implications not only for fuel cells but also for biofuels. 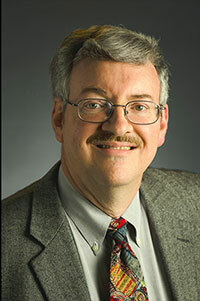 Bullock is Director of the Center for Molecular Electrocatalysis, a DOE Energy Frontier Research Center led by PNNL, and an Associate Director for PNNL's Institute for Integrated Catalysis. He is a leader in the scientific community, and has presented invited talks in the U.S., Europe and Asia. He has seven U.S. patents and is the author or co-author of more than 160 publications. This award is part of a distinguished list of honors that include being named a fellow of the American Chemical Society, the Royal Society of Chemistry, the American Association for the Advancement of Science, and receiving the Royal Society of Chemistry's Homogeneous Catalysis Award in 2013.